» Moving column type surface grinder designed for the first time in the country. » Optional creep grinding facility. » Bed, column, table and other structures are made out of high grade cast iron. » Pre-loaded linear motion guideway system for Y & Z axes. » Vertical movement of wheel head mounted on the column. » Three linear axes. Linear scale for Y-axis. » Digital AC servomotors for feed drives. » Minimum programmable resolution 0.0005 mm. » Wheel spindle runs on high precision angular contact ball bearings grease packed for life. » Optionally retraction type dresser mounted on the table. 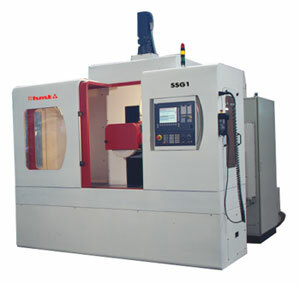 » Ideal for die & mould, tool room & general engineering industry.